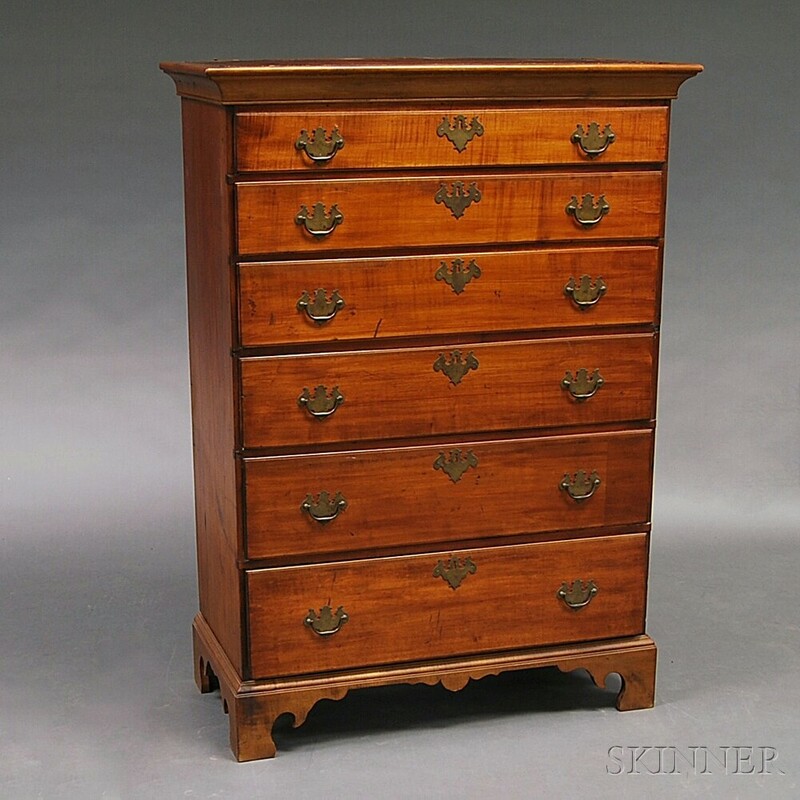 Chippendale Maple Tall Chest, the case with molded cornice and six graduated, thumbmolded drawers on a shaped bracket base, (restoration), ht. 55, wd. 39 3/4, dp. 19 1/4 in.